Glad to have another week down! We finally had a little more routine to our week since we had no more trips or places to go! I like routine and I kind of crave it but I will admit I have loved my trips lately too. Monday was a holiday and we needed a break since we had the conference trip last week. We just relaxed, sleep in and played until I had to work that evening. 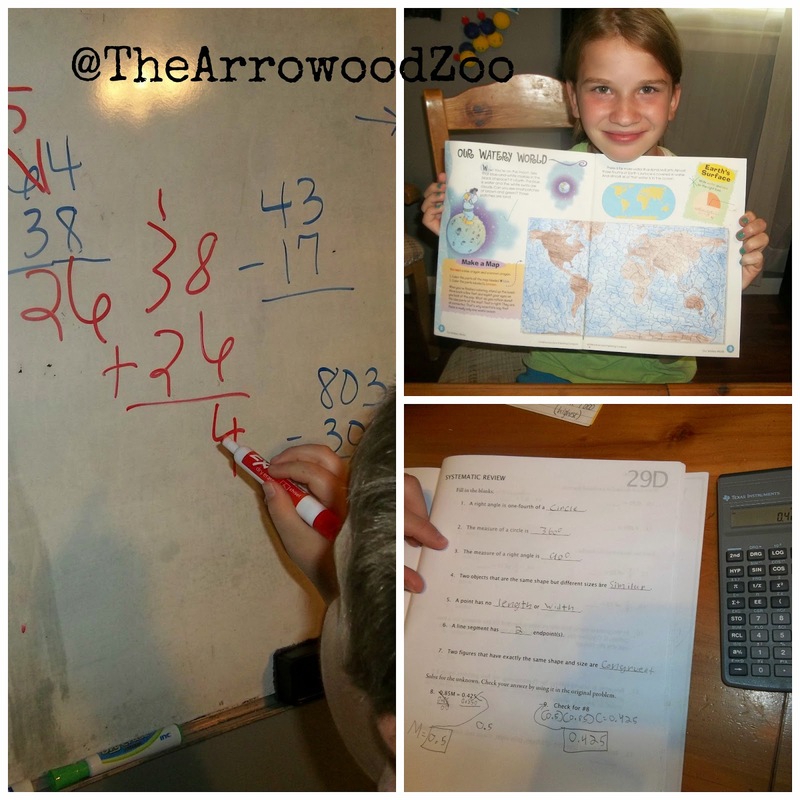 The rest of the week we worked our way through some of our school work. Many of our items are completed, Kyle is actually the only one that still has items to complete for his normal school work. Kyle only has 1 more lesson to complete his Math U See for the year! He is excited. Our summer months are always the most relaxed. I enjoy this type of schooling and after a long year of pushing hard I look forward to the relaxed learning. Play time. This week we had a lot of play time. 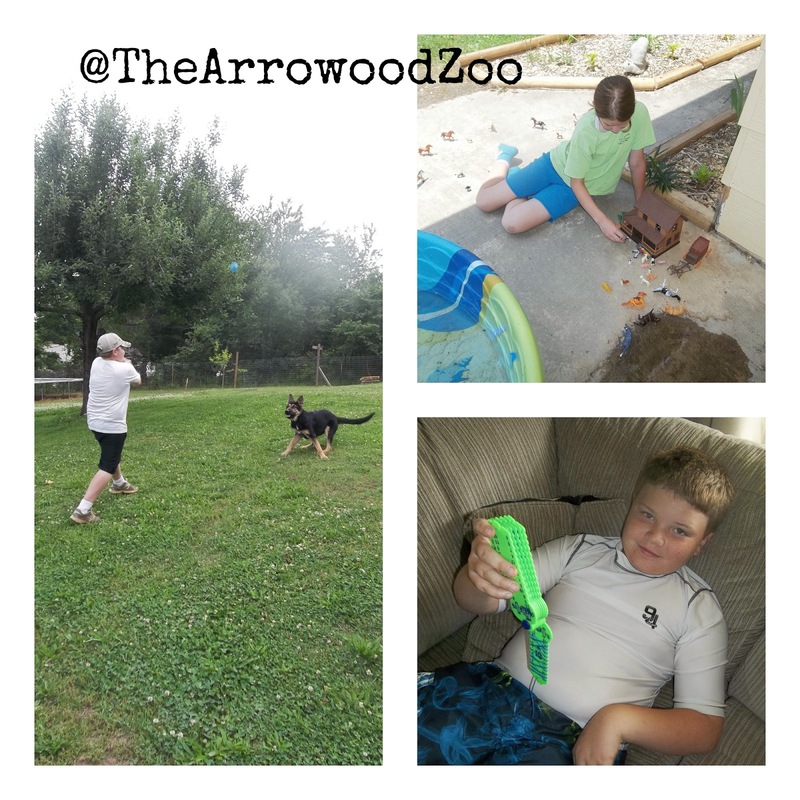 The kids never have tv during our days but normally go outside to play however since the weather has gotten so hot they only go out for a few minutes at a time. We got a lot of strawberries this week from my grandmother and put them up in our freezer after cleaning and slicing them. 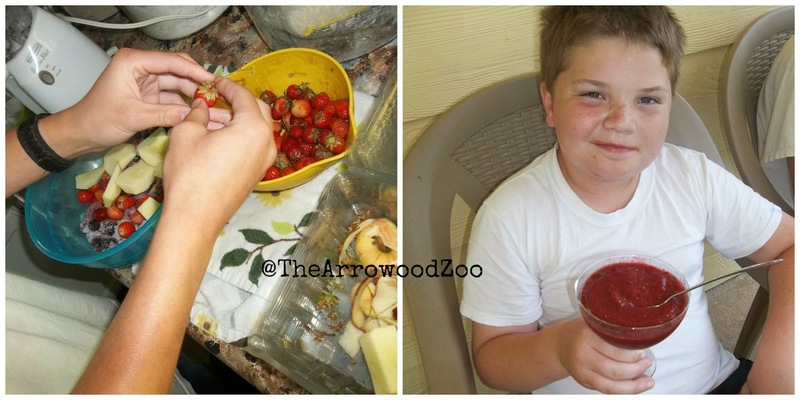 We also are getting some small ones from our garden so we had yummy smoothies this week for the first time this year! Hope your week was relaxing and blessed. Enjoy your weekend friends.